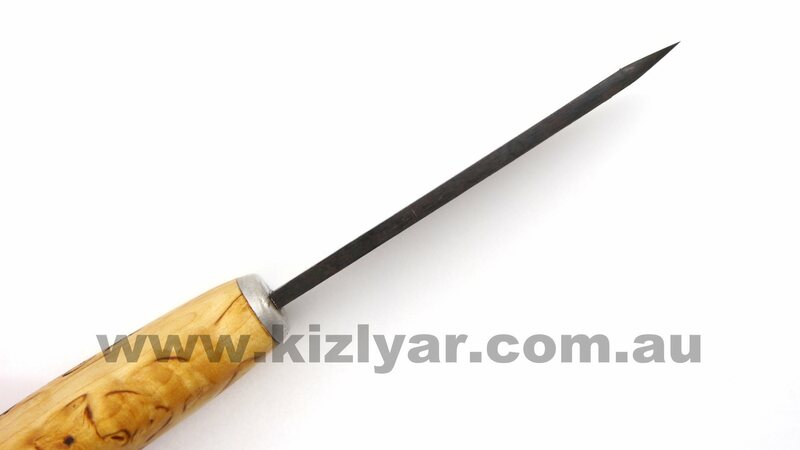 A traditional whittling knife with a blade made from forged carbon steel and a birch handle coated with linseed oil. 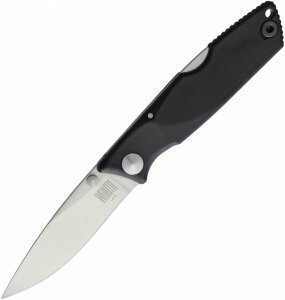 The Carpenter knife stays firmly in your grip even when wet and is suited for all kinds of work. 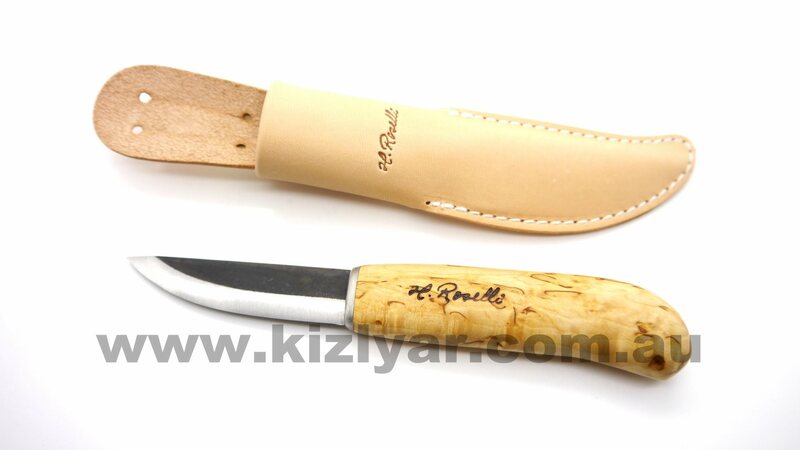 The Carpenter knife comes with a simplistic, handcrafted sheath made from tanned leather. 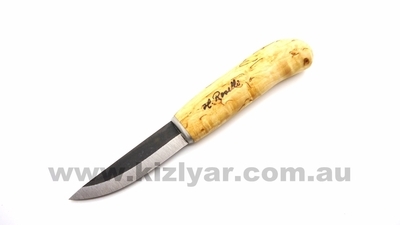 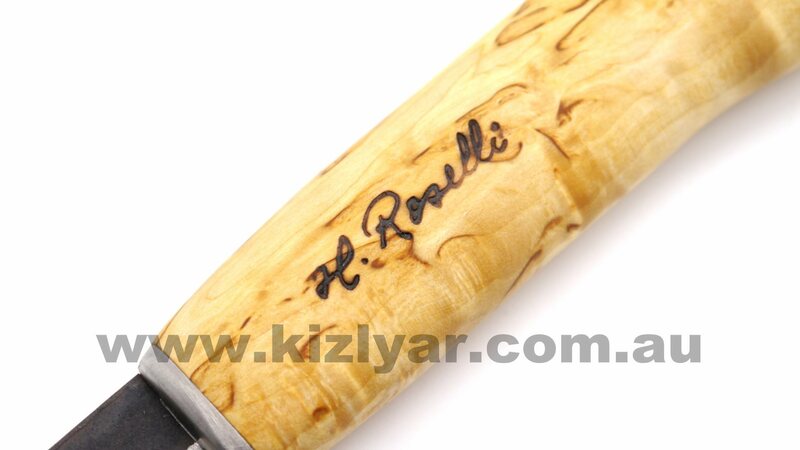 A very practical and simple Roselli knife.